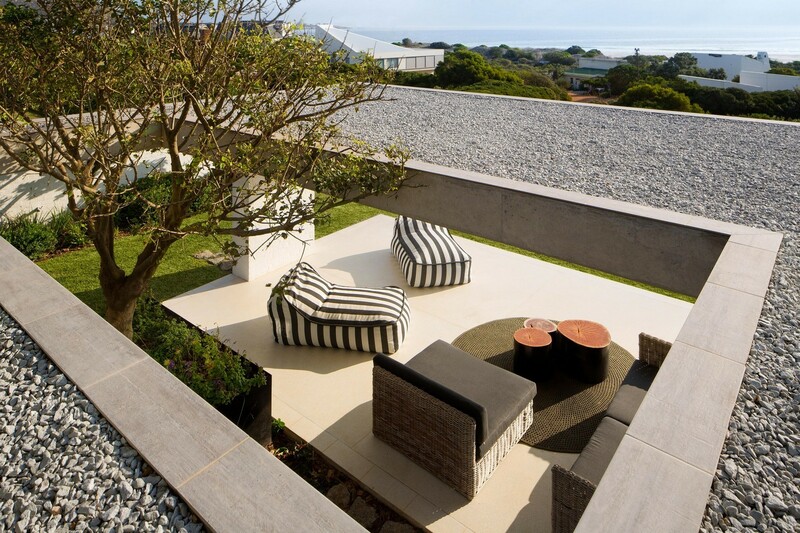 SAOTA design focuses on the integration of internal and external space, creating buildings that engender easy outdoor living – this increases the importance of landscape architecture. Here are two houses that demonstrate this: Pine Tree, SAOTA’s first project in Miami, and Restio River House, an easy-living family home in Pringle Bay. 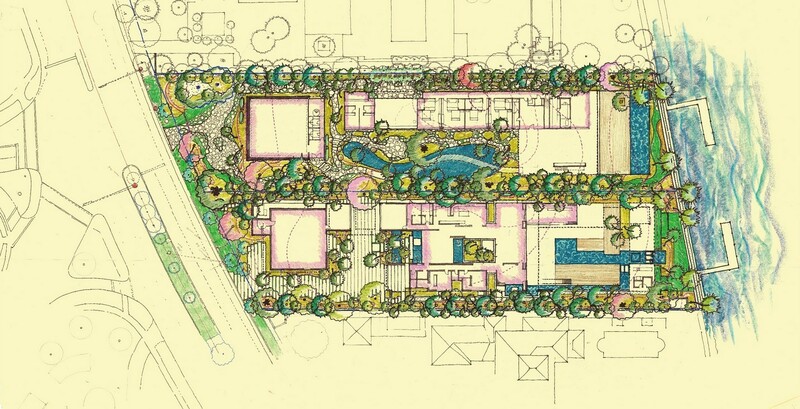 The innovative landscape design for Pine Tree was created by acclaimed American landscape architect Raymond Jungles. 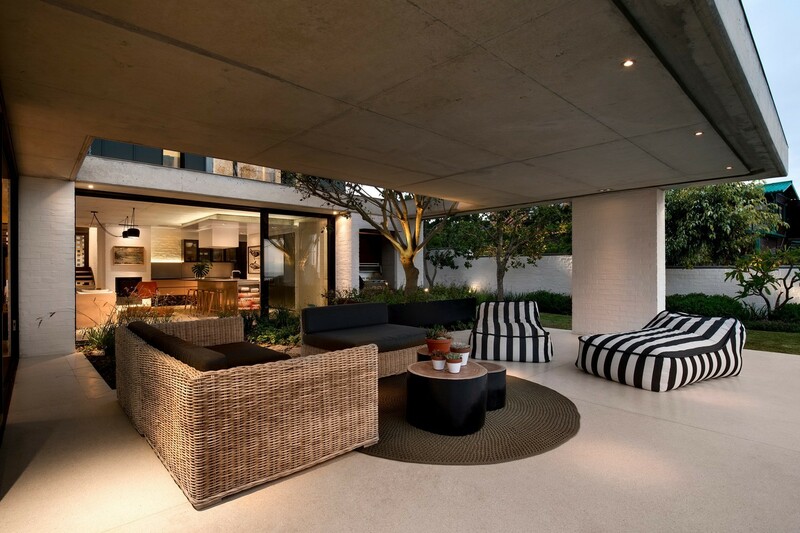 “The planting design is natural and lush, and creating privacy from the neighboring properties was an important focus. We achieved this by using Crabwood and Myrtle-of-the-Rive”, says Raymond. A specimen Kapok Tree was planted in front of the house, and throughout the garden, Sabal Palms and Coconut Palms bring a tropical ambiance. Located on the banks of Buffels River, surrounded by a natural environment – the landscaping plan incorporates as much indigenous vegetation as possible. Three iconic South African trees – Milkwood, Coral trees and Waterberry’s – were included. 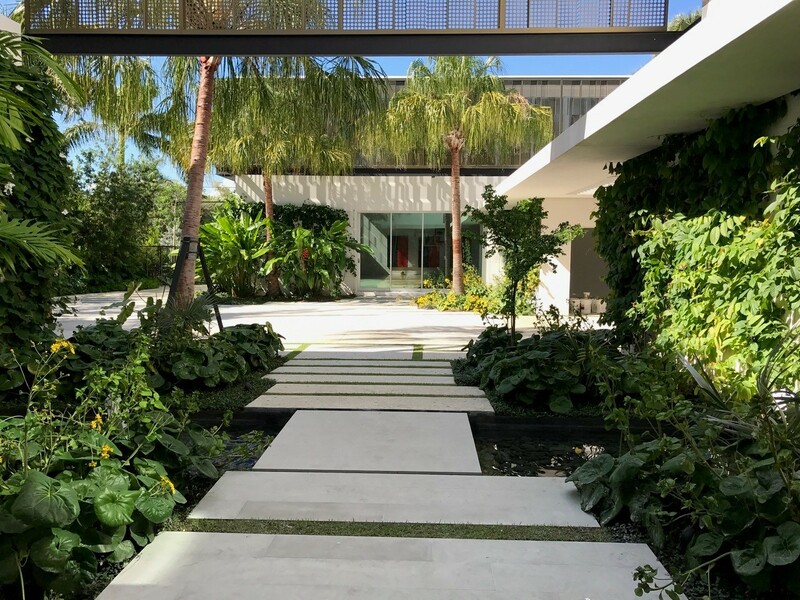 The Waterberry trees placed along the street edge screens the home from the public, and the Coral tree placed in the central courtyard creates a focal point around which the indoor and outdoor spaces are arranged. A mature Milkwood tree was placed on the river edge, creating a continuation of the river landscape.